On Thursday, we’ll be studying Case Study #3 from our syllabus. Please download, print and read this before coming to class. Also, there is no class on October 3rd. There are only 6 classes until the midterms. The syllabus for Tuesday October 8th and Thursday October 10th will now be dedicated to our company projects. Tuesday 8th will be a ‘group meeting day’ and Thursday 10th will be a market research day in which students will survey as many people as possible from as many different classes as possible. Afterwards, you will come back to your groups to analyze the data and begin to construct the demographics of your target market. So, that means we will need to think about our market research and a survey, in particular. Every student will need to complete the homework assignment on page 12 of the workbook and bring your answers to class on Tuesday October 1st. The surveys have to be ready for October 10th’s class, but this need’s to be completed first. Finally, alot of this course is self-directed study and you are expected to do work on your own outside of the classroom without it necessarily being assigned homework. Today, I mentioned ‘Hell’s Kitchen’, the reality TV show that’s on FOX in the United States (and shown worldwide). It’s amazing what people will do on TV these days. Would you want to be a chef? Could you work for Chef Ramsay? In this activity there’s a good opportunity to listen to ‘real’ conversations (ie – without a script), and some of the language (although some of what the men say about the women I find quite disrespectful – go to 14:30 and hear for yourself) is definitely different than you’ll find in most textbooks. There are lots of different accents, they use idiomatic expressions and ‘slang’, and you get to see and hear the contestants under pressure. Watch the clip (or the episode first) then look at the questions and test yourself. IF you have any questions just let me know. You can also use Freemake to download the clip to your hard drive and watch it in your own time. Here are a couple of things that will help you for the forthcoming presentations. Please read them. First, some advice on how to deal with being nervous and there’s also a ‘How to…’ handout that shows you the best way to prepare and use a cue card. You should prepare a cue card for all your presentations but you should also follow these guidelines to help. If you have any questions about this or anything else in the class just ask. I’ve added a list of free website builder sites for you to look through. I’m sure there are are also many other free options out there too. Here’s a short presentation covering where we should be up to with the project. We’ll go over it in class tomorrow. You should also read Dilemma and Decision (Unit 13) – “Bonus or Bust?” before the class. Here are the sheets for Speech #2 if you lose the copy I gave you in class. Just remember the points that we went over in class today and follow the guidelines as best you can. Remember to focus on ‘strong openings’ (page 78 -79) and ‘signposting’ (also page 78-79 of your textbook). Don’t forget to work on your ‘hook’ as well as this time thinking about some ‘interaction’ with the audience and showing some enthusiasm. Smile. For your short video clip you can upload your video file using http://www.freemake.com/ and put it as well as your PPT/Prezi slides on to a USB. Remember, we may not have internet in our room so put your presentation details on a USB. You can record directly from your phone, download the file (with or without using youtube) to your PC and then edit (if you want) and save it to a USB. Please email me your ideas and if you have any questions don’t hesitate to ask. 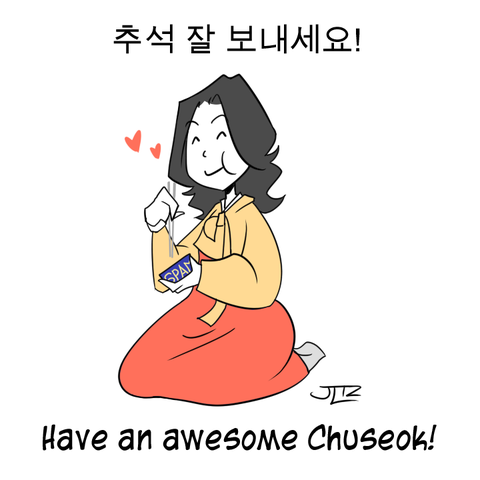 Enjoy your Chuseok holidays and see you all next week! You’ll find some useful links below that should help you come up with some more ideas for your mission statement. Take a few minutes and go over them. First, writing a mission statement handout gives you a basic overview of how to put a mission statement together. Some of it we have already went over in class, but there’s also some relevant advice on there. For example, avoid a generic mission statement that any compant could have. Next, writing a mission statement handout2 will give you some examples of how to write a mission statement in three easy steps. It includes a section that lists some core values (in other words – what your company stands for) that should help you when putting together your mission statement. Remember, this project is a team effort. It’s important that as the weeks go by you should be delegating the tasks in the workbook amongst the team. It’s important that you share the assignments and keep in touch with one another as to your progress. Do not hesitate to contact me at any time with a question or if you’re not sure of something. I’ll do my best to help you out. For the D and D section of this class you are asked to write an informal email. I’ve attached a couple of examples for you to take a look at. 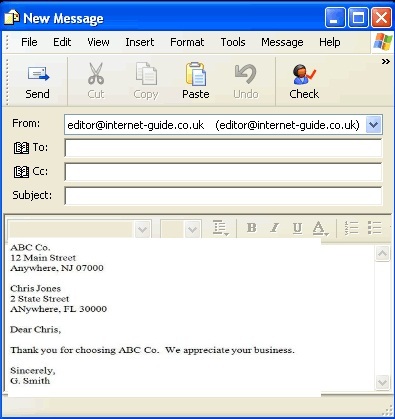 The first link has several different examples of the type of email you might have to send at some point. The other two links give you good tips on ‘do’s and dont’s’. Just follow the guidelines at the bottom of the page in your workbook (who you’ll write the email to, for example) and start writing. Here are a couple of extra activities to finish Unit 1. They are mostly focused on idioms, but there’s also a listening and questions section. This worksheet is an introduction to tea in Britain. I used 2 different sources from the BBC Learning English website to make it. The second section gives expressions used in the audio. In the third section there are examples of the different equipment used to make a good cuppa. You can also download the video and the script as well as the mp3 file for the audio. This is something you can do in your free time and it’ll not only help you with your listening and vocabulary, but it will also give you an opportunity to hear someone using ‘British English’. Don’t hesitate to use these idioms, expressions, or new vocabulary in our class. The next group discussion leaders and subjects need to be decided for our next class on Monday. There are some suggestions on the blog but please feel free to prepare a subject, issue, or story that interests you. Finally, after Monday’s class (Unit 2 Interchange) there will be a blog assignment. Please refer to the schedule to see what it is (you can find it on our blog). The blog should be recorded and sent via email. More details on Monday. If you have any questions about our class please do not hesitate to contact me at any time. Great job on the first round of presentations yesterday. 2 more groups to go next week on Sept 9th and Set 12th. September 16th we’ll have a look at Unit 2 in our textbook and also have time for some feedback from the presentations. For Class Speech #2 you should think of a ‘New National Holiday’ or ‘New Chuseok Celebration Idea’. For example, this could be from the point of view from a family or as a tourist promotional idea. If you have any questions about our class or your presentations, please let me know.